AERA, Friday April 8th-Tuesday April 12th 2016 (exact date of ESAI symposium yet to be announced) Washington, DC. Each year AERA invites international educational research associations to submit symposia to the AERA annual conference. For many years, the ESAI Executive has submitted a symposium involving ESAI members, ensuring a range of institutions are represented with a symposium theme that provides some scope for a range of inputs and perspectives. This year, we welcome applications from ESAI members to present their work at the symposium. In all, the symposium will include three or four papers over 90 minutes, which should include time for commentary, questions and discussion. The session will also have a chair and a discussant. Collaborative papers that draw on the expertise of ESAI members North and South, or on the expertise of ESAI members internationally is strongly encouraged. 4. Data sources, evidence, objects, materials or the equivalent for theoretical or methodological papers/presentations. AERA Online Paper Repository: Please indicate whether each author is willing to participate in the AERA Online Paper Repository. Participation is voluntary, but the repository is an excellent way of disseminating papers worldwide and well beyond the Annual Meeting. Please check with each author and indicate their responses. Submissions should be emailed directly to ESAI at aera@esai.ie no later than Monday 6th November 2015. 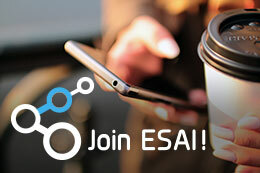 The ESAI Executive will review proposals and notify all applicants in a timely manner by the end of November.